Joint Matrix (180 tablets) for Maximum Arthritis Relief Formula! The most advanced formulation ever for helping to win the fight against arthritis and disorders of the joints! Joint Matrix has combined 7 of the most powerful natural pain and arthritis relief products on the market into one. By providing the equivalent of seven or more different products in one, Joint Matrix takes the guesswork out of selecting the most effective product to help treat the different forms of arthritis and joint disorders. 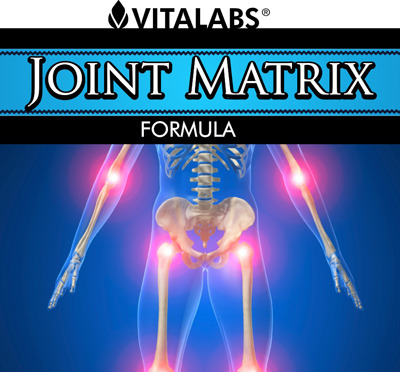 Joint Matrix formula gives you the maximum support for relief of pain and to help heal arthritis and joint disorders. Pain relief is now possible with out drugs. Joint Matrix is the safe, natural medication for reducing or eliminating the pains of arthritis. This arthritis treatment gives you arthritis pain relief the natural way.If you are experiencing pain and decreased mobility from arthritis symptoms, you probably don't have the quality, pain-free life-style you once had - or the freedom of movement to do all the things you used to enjoy. Are you able to participate in the physical activities that you would like to? Can you keep up the pace of life with your friends and family members? If you are not using Joint Matrix, you probably don't even realize the full extent of your physical limitations due to arthritis symptoms. Joint Matrix helps repair damaged cartilage and maintain healthy joints. Inholtra's patented formula ingredients work together to provide multiple benefits for multiple problems. The ingredients in the formula are documented in hundreds of published studies to relieve the inflammation, stiffness and pain associated with both osteo and rheumatoid arthritis. Joint Matrix may help regenerate joint cartilage and joint lubricating synovial fluid May help increase circulation to the joints May help to suppress auto immune diseases that cause rheumatoid arthritis. May help maintain the health of the endothelial linings of the arterial system May help to suppress eczema and other common inflammatory skin disorders May help to reduce serum triglyceride levels. "JOINT MATRIX" MAXIMUM PAIN RELIEF FORMULA helps to heal damaged and arthritic joints and stop the pain associated with these disorders. Read the medical information below on how Joint Matrix can help you! Dear A-1 Discount Vitamins, I wanted to write to let you know that I really believe in the product Joint Matrix. While playing college basketball I had a knee injury that I continue to feel the affects of. My knee is not 100%, but I can tell a good difference in my knee since taking Joint Matrix. A couple of times I have traveled and left my pills at home and I start to experience that uncomfortable feeling in my knee again. Once I get home and start taking Joint Matrix again, everything feels better. There are several other injuries that have benefited from these pills. JOINT MATRIX is designed to work within the cartilage matrix. Each nutrient in this remarkable formula is included because of its unique properties in treating specific forms of arthritis or damaged joints. Defining Each of the Nutrients Found in 'JOINT MATRIX"
1. GLUCOSAMINE SULFATE: is a long chain amino-sugar naturally occurring in cartilage. It is the major building block of the proteglycans and is used specifically to produce glycosamineglycans (GAG's). GAG's are protiens that bind water within the structure of cartilage. Glucosamine also stimulates the chondrocytes to produce more collagen and proteoglycans. 2. CHONDROITIN SULFATE: Like glucosamine, chondroitin is another of the mucopolysaccharides found in cartilage. Acting as a water magnet, chondroitin helps elevate the levels of synovial fluid in the joint. Along with the water attracted by chondroitin are essential nutrients necessary for the health of the cartilage and joints. 3. SHARK CARTILAGE: Research has demonstrated shark cartilage to be a powerful and non-toxic anti-inflammatory. Of particular interest to rheumatoid arthritis sufferers is the potential effect of shark cartilage in strengthening the immune system. 4. GREEN LIPPED SEA MUSSEL: Contains high levels of "hyaluronic acid". A major constituent of synovial fluid, hyaluronic acid serves as an effective lubricant for the joint and buffers against cartilage damage. 5. MSM (Methylsulfonylmethane): An essential nutrient required by the body, MSM plays an important role in the production of collagen. Insufficient levels of MSM can lead to an inability of the body to repair or replace damaged tissue. MSM can also play a significant role in controlling pain caused by inflamed tissue cells. Such inflammation occurs when tissue cells are unable to adjust their fluid levels in response to atmospheric pressure changes. This is why many people claim to be able to forecast weather changes by the pain in their joints. MSM helps regulate fluid transfer in the tissues by keeping the cell walls flexible and permeable. 6. L-HISTIDINE: Those afflicted by arthritis have been shown to have abnormally low levels of the amino acid L-Histidine in their bodies. Proper intake of L-Histidine may prove beneficial in the reduction of inflammation accosciated with joint disease and other disorders. 7. BORON: This important mineral is renowned for its role in helping to prevent or slow the effects of osteoporosis. Thre is some evidence to suggest Boron may prove beneficial in treating some forms of arthritis. 8. A SPECIAL BASE of Vitamins, Minerals, Herbs, and other Nutrients has been added to further enhance the active ingredients found in JOINT MATRIX. SUGGESTED USE: 1 OR 2 Tablets taken 3 times daily as a dietary supplement. THE BELOW MEDICAL INFORMATION ON ARTHRITIS WILL HELP EXPLAIN HOW THE INGREDIENTS IN JOINT MATRIX CAN HELP REDUCE PAIN AND HEAL ARTHIRTIC JOINTS!! Swollen joints. Morning stiffness. Painful movements. These are daily facts of life for the more than 35 million Americans who live with osteoarthritis. This disease, also known as degenerative joint disease or osteoarthrosis, is the leading cause of disability in older people. Osteoarthritis is not a killer, like heart disease and cancer, but, as the millions of Americans who suffer from it know, osteoarthritis can rob otherwise healthy people of their quality of life, by making even the simplest of movements painful. But what can you do to provide arthritis relief? The exact cause of osteoarthritis is not known, so prevention is difficult. In general, though, since osteoarthritis affects the joints, anything you can do to relieve stress on the joints is recommended. This includes losing excess weight, avoiding repetitive motions, and choosing low-impact sports (e.g. bicycling, swimming) over grueling, joint-punishing activities. Here's why: Osteoarthritis breaks down cartilage, the spongy, protective cushion between joint bones. As the cartilage wears away, bones begin to rub against one another, causing pain, inflammation, and stiffness. Knees, hips, fingers, and the spine are the areas most often affected by the disease, but any joint is vulnerable, especially if it has been injured or overused. When a joint becomes painful, many people avoid movement, including exercise. This is a major mistake. The stronger the muscles around the joint are, the more support they provide. thereby reducing pain. In addition, strong muscles keep joints properly aligned, cutting down on further cartilage wear and tear. Once osteoarthritis has been diagnosed, physicians often recommend non-steroidal anti-inflammatory drugs (NSAIDs) for relief. These include over-the-counter NSAIDs such as Advil, Motrin, aspirin, and others, as well as NSAIDs available by prescription, like Naprosyn, Relafen, and Daypro, to name a few. While they do lessen pain, NSAIDs often have adverse side effects By contrast, many of the alternative therapies are side-effect free. Better yet, as millions of arthritis sufferers know, these alternative therapies are very effective. Even if it takes a few tries to find the right treatment for you, in the long run, it is definitely a worthwhile endeavor. GLUCOSAMINE and CHONDROITIN: a hard-working team for arthritis relief. Four years ago, when The Arthritis Cure was first published (a book I co-authored with Jason Theodosakis and Barry Fox), arthritis sufferers learned about two naturally occurring substances glucosamine and chondroitin sulfates that had been shown in international studies to relieve osteoarthritis symptoms, and in some cases, even reverse the condition. In spite of extensive, existing research, though, many American doctors were reluctant to prescribe glucosamine and chondroitin until studies were done in the United States. Now, the glowing reports from many patients are being supported by rigorous new studies, both in the U.S. and abroad. In North Carolina, orthopedic surgeon Amal K. Das, Jr., M.D., conducted a study with 93 patients suffering from osteoarthritis of the knee. After taking glucosamine, more than half of the participants reported significant improvements in both mobility and pain. "At first I only recommended these supplements to patients who had tried everything else and were still in pain," notes Das. "But now I think everyone should know about them." But even more impressive findings were announced recently at meetings of the American College of Rheumatology, when a 3-year-long European study of 212 patients found glucosamine actually protected cartilage in arthritic joints from deteriorating. Using before and after X-rays, researchers found that 40 percent of the group taking a placebo suffered cartilage deterioration during the 3 years, compared with only 22 percent of the group taking glucosamine. Given the fact that glucosamine is essential for creating the proteins that make up cartilage, while chondroitin attracts fluid to these tissues, experts have speculated that taking the two supplements together would produce even more dramatic results. Until recently, there were no studies to back up the theory, but now there are. The synergistic effects of glucosamine and chondroitin, when taken together, were demonstrated in a recent U.S. Navy study involving 34 Navy Seals with osteoarthritis. 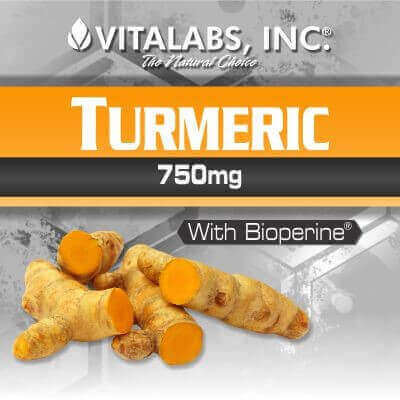 Researchers divided the group in two, then gave one half a proprietary formulation of glucosamine, chondroitin, and manganese ascorbate, while the other half received a placebo. After eight weeks, knee arthritis sufferers in the glucosamine group reported significant pain relief, while those in the placebo group did not. Meanwhile, more studies are underway to determine glucosamine's and chondroitin's effects on osteoarthritis. Last year, the National Institutes of Health launched a $6.6 million study of the supplements with 1,000 patients, and another clinical trial with 350 patients is underway at Johns Hopkins. In the meantime, glucosamine and chondroitin have repeatedly been proven to be safe, with only abdominal upset a rarely reported side effect. Like silicon, calcium deficiencies have been linked to osteoporosis. Indirectly, though, calcium is connected to osteoarthritis, because easily fractured bones only add to the discomfort and pain of arthritis. Calcium is easily obtained with three or four daily servings of dairy. Dark-green leafy vegetables, such as collard greens and kale, and fortified foods, such as enriched soy milk, are also excellent calcium sources. Typically, depending on the stage of life, women should get 1,200 to 1,500 mg of calcium daily, and men need about 900 mg. Few people meet these basic requirements. Consult your physician for exact recommendations. Strong bones require more than calcium alone. Magnesium plays an essential role in the production of strong bones, muscles, and other tissues, and it enhances the body's absorption and ability to use calcium. Once you have determined the amount of calcium you should be getting daily, factor in about one-third that amount of magnesium, too. The enzymes that produce cartilage need manganese, a mineral that may be more difficult to utilize as we grow older. To make certain you are getting an adequate supply, supplements of 10 to 30 mg daily are recommended. Although it's more famous as a fighter of the common cold, vitamin C is actually very important in the production of cartilage. 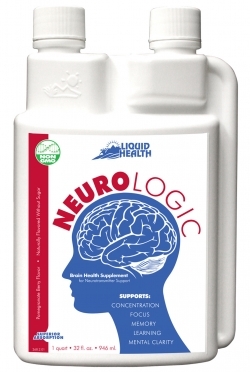 Since our bodies can't store this essential nutrient, doses between 500 and 4,000 mg are recommended on a daily basis. DID YOU KNOW ........ Shark cartilage has been successfully used in both animals and humans to reduce pain in arthritis and improve mobility. A study by the Massachusetts Institute of Technology concluded that shark cartilage contains an angiogenesis inhibiting substance that strongly inhibits the growth of new blood vessels that support solid tumors, thereby restricting tumor growth. Dr. Judah Folkman headed a research team that discovered cancer tumors cannot grow beyond about 2mm in size without the formation of new blood vessels to support the new tumor growth. Studies conducted at the Children's Hospital in Boston, which was reported in Science, Vol 221 in September 1983 found that shark cartilage contains an angiogenesis inhibiting substance which strongly repressed the growth of new blood vessels growing to support solid tumors, which in turn controlled tumor growth. Their findings indicated it was this substance which was responsible for the rarity of cancer in sharks. Joint Matrix contains 750 mg per serving (2 tablets) Shark Cartilage is rich in nutrients that are critical to bone and joint health. Shark cartilage has been shown to retain fluids in joint cartilage, providing improved ability to cushion joints. Shark Cartilage is a nutritional supplement gleaned from the skeleton of the shark. Sharks have skeletons made entirely of cartilage, the same flexible material in your nose and ears. Cartilage is sturdy like bone, but it has a much lower density. This material keeps sharks relatively lightweight, so they don't sink in the ocean and they don't need an air bladder like other fish. Shark cartilage contains chemical compounds with the impressive ability to inhibit the growth of new blood vessel systems. One of the most interesting things about cartilage is its importance to the body, an importance that is first apparent in the embryo. In an early fetus, there are no bones; it is cartilage that provides the framework on which the major bones of the body (except the skull) take form.. The bones of children are relatively pliable because they contain more cartilage and less calcium salts than do the bones of adults. Elderly people have much less soft tissue such as cartilage and a higher proportion of calcium salts, so their bones are more brittle. Types of Shark Cartilage / Shark Cartilage is available in powder, gelatin capsules or pressed into tablets which are taken orally. Shark Cartilage capsules or tablets appeal to many consumers because they are more convenient and/or because many people find the taste and smell of shark cartilage powder unpleasant. 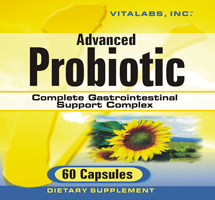 At higher doses, gelatin capsules may actually cause digestive problems, as a result, Vita-Labs chose to produce Joint Matrix in tablet form for ease of use in either low or high dosages. Remember, drugs do not cure degenerative diseases. Your body must be in good health to effectively destroy disease and heal itself. Enable your body with the essential elements it requires. Joint Matrix stands ready to help you and to provide you with the proper nutritional building blocks so that you can achieve "Recovery, Good Health and a Long Life." So stop the pain of arthritis and joint disorders today with Joint Matrix. PLACE YOUR ORDER ON THE TOP RIGHT SIDE OF THIS PAGE OR CALL US TOLL FREE AT 1-877-291-8263. REMEMBER YOU GET FREE SHIPPING ON 3 OR MORE BOTTLES.